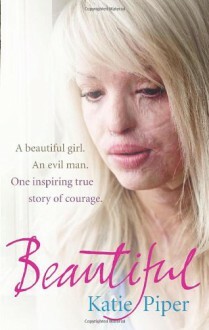 A harrowing but ultimately inspiring memoir of how one girl's beautiful face and spirit was destroyed after a vicious acid attack I heard a horrible screaming sound, like an animal being slaughtered . . . then I realised it was me. When Katie Piper was 24, her life was near perfect. Young and beautiful, she was well on her way to fulfilling her dream of becoming a model. But then she met Daniel Lynch on Facebook and her world quickly turned into a nightmare. After being held captive and brutally raped by her new boyfriend, Katie was subjected to a vicious acid attack. Within seconds, this bright and bubbly girl could feel her looks and the life she loved melting away. This is the moving true story of how one young woman had her mind, body, and spirit cruelly snatched from her and how she inspired millions with her fight to get them back.